HOW MUCH IS AIR DRAG? You spend around 50% of your fuel money to overcome air drag. The biggest waste is on the backs of your truck and trailer. While you can’t entirely eliminate air drag, it certainly can be mitigated. Are your comfort & safety worth 18 cents a day? Is $183 investment worth $7,500 in return*? VorBlade creates vortex shield around your vehicle. It’s like having an invisible faring that stabilizes your ride and protects your truck from turbulence and detrimental impacts of crosswind. You may barely notice VorBlades but you’ll definitely notice the results! 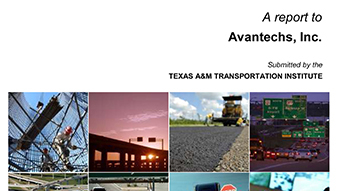 VorBlade systems were independently tested and certified through SAE J1321 protocol. 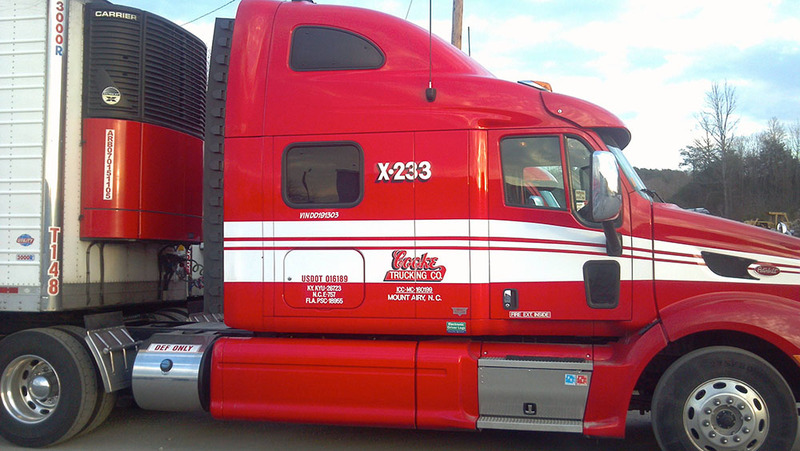 Our systems are EPA SmartWay Verified and provide complete aerodynamic CARB compliance for your trailer. Backsides of tractors and trailers are aerodynamic bluff bodies creating low-pressure air wakes and large areas of harmful unstable turbulence. The wakes and unstable turbulence create two major problems for heavy vehicles – air drag and instability, and both problems are significantly magnified by crosswinds. 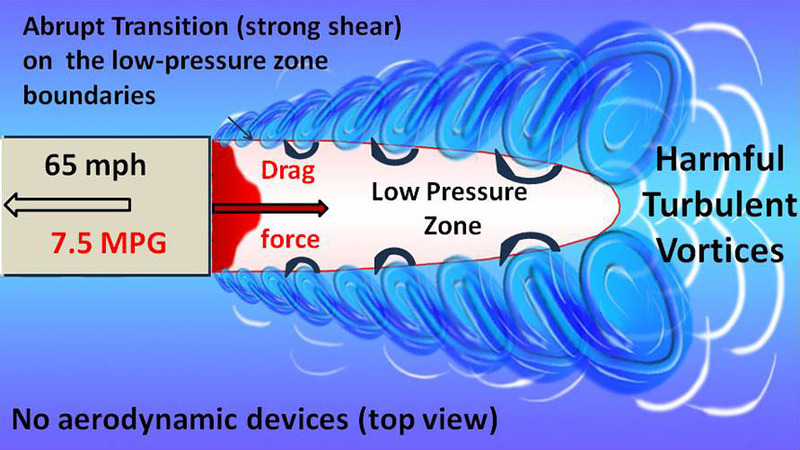 The low-pressure wakes generate an aerodynamic force pulling a vehicle backwards like a giant parachute, and this force is called air drag. More than half of fuel is spent to overcome air drag and 53% of the drag is produced behind tractor & trailer. Large unstable turbulent vortices shake truck and trailer randomly to the left or right reducing vehicle stability and increasing driver workload. VorBladeTM is a generator of uniquely powerful and lengthy small-scale vortices optimized for reducing significantly air drag and destroying harmful turbulence on heavy vehicles at highway speeds and conditions. 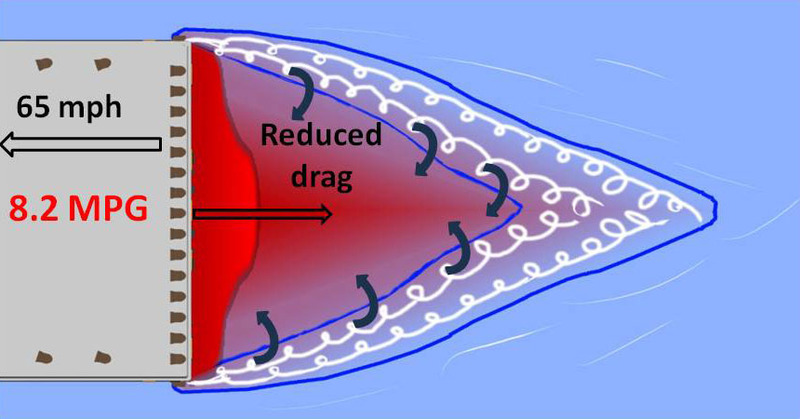 The vortices create an invisible shield streamlining airflow around a vehicle. The vortex shield works as an adaptive gap reducer in the tractor-trailer gap and as an adaptive trailer tail behind a trailer, box truck, bus or RV which saves a fuel by reducing air drag and improves vehicle’s stability by destroying harmful large-size turbulence at crosswinds or no winds.